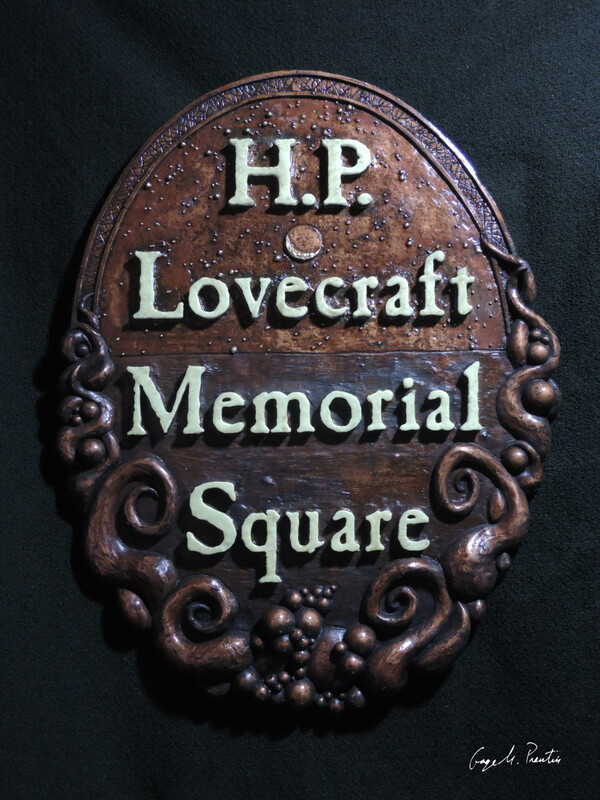 This is a cold cast bronze sign for H P Lovecraft Memorial Square in Providence Rhode Island. 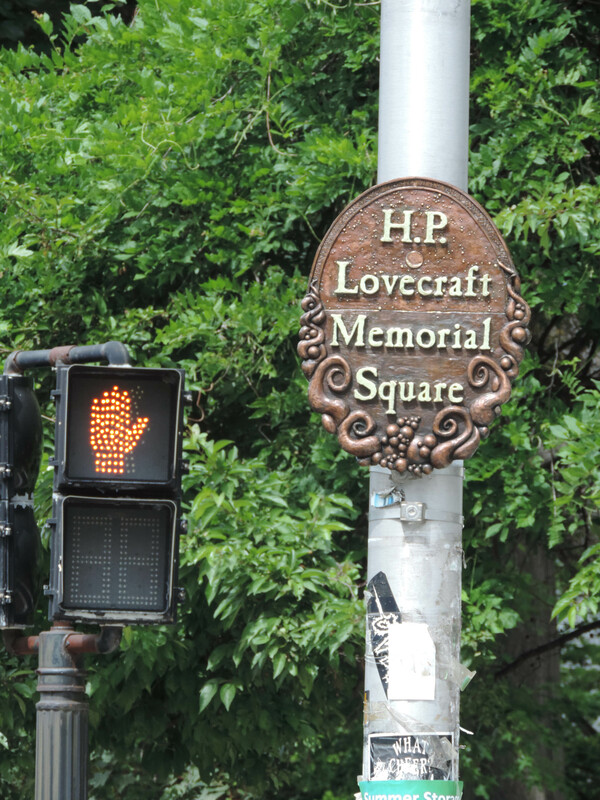 It was funded and installed by the Lovecraft Arts and Sciences Council, and Necronomicon Providence 2015. The letters glow in the dark. It measures 18 inches across by 24 inches tall.